SKINLESS was forged in 1992 by guitarist Noah Carpenter with one goal: to be the heaviest band in creation. Following a variety of personnel changes and two demos, SKINLESS established a solid, dedicated lineup from 1997-2001 in the form of Carpenter, vocalist Sherwood Webber, bassist Joe Keyser and drummer Bob Beaulac. This version of the band would later become known as the “classic” lineup. In 1998, SKINLESS released their now legendary Progression Towards Evil debut full-length, which stunned the underground, showcasing the visceral energy the band had become notorious for live. An independent release, Progression Towards Evil received frenzied acclaim from media outlets globally. A union with Relapse Records ensued and three more bludgeoning platters were served from 2001-2006 with Foreshadowing Our Demise, From Sacrifice To Survival, and Trample The Weak, Hurdle The Dead. Despite various lineup shifts, the band remained as brutal and busy as ever, touring the globe with the likes of Slayer, Pantera, Slipknot, Exodus, Morbid Angel, Dying Fetus, Suffocation, Immolation, Misery Index, Deicide, Cannibal Corpse, Entombed and so many others consequently spawning an ever expandinghorde of devout metal enthusiasts. 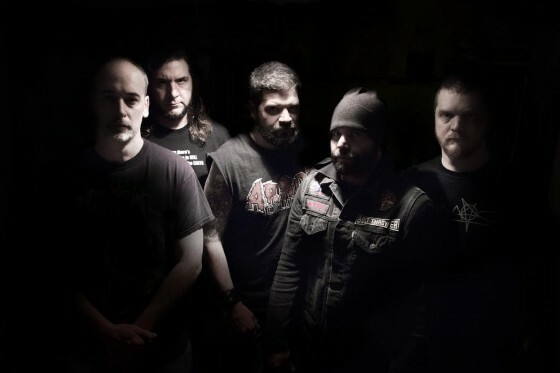 Following a seven-year slumber, SKINLESS returned to action with their “classic” formation in 2013 and have since added second guitarist, Dave Matthews (notthat Dave Matthews) to the ranks. Only The Ruthless Remain includes artwork by Ken Sarafin and will be unleashed on CD, LP and digitally via Relapse Records on June 2nd, 2015 in North America (June 1st in the UK/EU and May 29 in DE/Benelux/Finland). Official SKINLESS merchandise is currently available via Allinmerch.com and Relapse.com. In the meantime, the band will wage their audio war upon Baltimore this May as part of this year’s Maryland Deathfest as well as Hellfest in France with further live invasions to be announced in the coming weeks.